As a family owned garage door repair company with over 48 years’ experience in the Phoenix Metro area, knowledgeable technicians, and 24-hour/365 day emergency service, we are the solution to all of your residential and commercial garage door repair needs; regardless of how simple or complex they may be. Our services include: garage door spring replacement, garage door installation, garage door panel replacement and garage door maintenance. Looking to outfit your home with a stunning garage door? 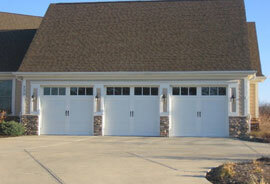 Dynamic Door Service can professionally install your new garage door and take away your old one all in the same day. In addition to the services mentioned previously, we also offer some of the industry’s highest quality products for both our residential and commercial customers including new and replacement garage doors and automatic garage door openers and operators; among others. The most common garage door repair we encounter is the broken garage door spring. The reason being is that that most springs are rated for 10,000 cycles. So depending how often you use your garage door opener, eventually your springs will need to be replaced. Some homes have one spring or two springs depending on the weight of the door. Many times, we never know when a garage door spring will break, which is why we recommend if you have only one spring, that you install two springs when it gets replaced. There are two reasons why we recommend this. First reason, if one spring breaks, the second spring takes over and you will still be able to open your garage door. Second reason is by adding the second spring, that will extend the life cylces, because the spring does not have to work as hard. 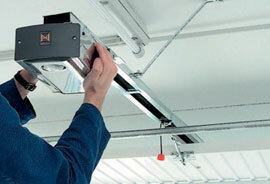 Our technicians are highly trained on safely removing and installing new garage door springs. Take the benefits of convenience, durability and safety to a whole new level with our expansive line of new garage door openers. Whether you require a belt drive, screw drive or chain drive opener, you can count on us to provide you with the best at a price you can afford. 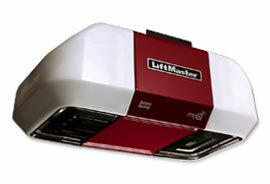 All of our openers are manufactured from some of the most prestigious names in the industry including Liftmaster and Genie. In addition, when you purchase a garage door opener from us, you can count on one of expert technicians installing it for you – in many cases that same day. When it comes to fixing and servicing your garage, don’t settle for anything less than the best. At Dynamic Door Service, our expertly-trained technicians are awaiting your call (602) 335-1077! We are proud to offer competitive prices and quality workmanship – call us for your free consultation today. Have more questions? Give us a call today and talk to one of our technicians! When it comes to garage door repair, even the smallest details matter, which is why we at Dynamic Door Service are committed to providing you with the highest quality of work at affordable rates. 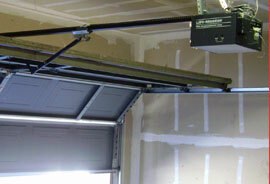 We cover the entire Phoenix Metropolitan area providing world-class garage door repair services and installations. You can count on us being there for you day or night. Our expertly-trained and certified technicians can arrive to your home or office in short amount of time, no matter the hour. Need a garage door repair that just can’t wait? We are available 24-hours a day, 7 days a week and 365 days a year. Whether you purchased the your garage door at your local home improvement store or chose to have one custom made, we at Dynamic Door Service will provide you the same top-level support. Don’t fall prey to one of those “other” companies that only consider their bottom line – contact us for all your garage door needs. The post Garage Organization appeared first on Door Service Today. The post Must-See Holiday Events in Phoenix appeared first on Door Service Today. The post When Will Insurance Cover Garage Door Damage appeared first on Door Service Today.